With how many LEGO pieces we have in our house it's hard to keep up when things go missing. The good news? 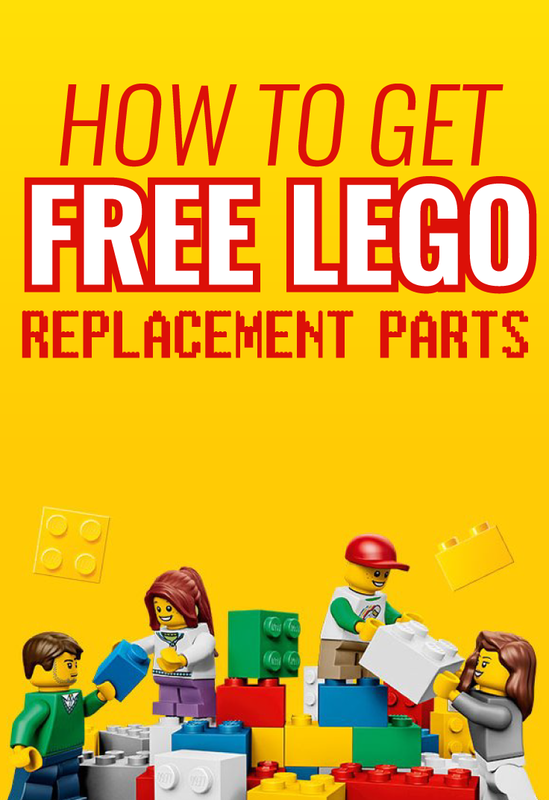 It turns out, you can actually score free replacement parts for LEGO missing pieces right from the LEGO Bricks and Pieces site and it's so easy to do! That's right, Bricks and Pieces is a LEGO website that's dedicated to helping you find LEGO replacement parts for those pieces you know you've lost but need it to finish your masterpiece. Today, we're going to be showing you how to order LEGO replacement piece for any missing parts you have. Once you're through this guide you'll be able to find any missing LEGO parts you're needing and also any LEGO replacement bricks you're going to need in the future. Bricks and Pieces is a LEGO page that is the place you'll want to go for LEGO Replacement parts. Choose between 'Missing Bricks' 'Broken Bricks' or 'Buy Bricks'. Enter your LEGO set number. Pick your free replacement parts and add your shipping info! That's it! Once you've followed these steps your free LEGO replacement parts should be on their way. We'll be going through how to order LEGO missing pieces through LEGO Bricks and Pieces below. LEGO is king when it comes to building toys for kids. So obviously with being so popular, they know to keep their top spot they have to make us parents happy. The good thing is we can get Free LEGO Replacement Parts right from their website. It's nice to not have to keep buying new LEGO sets when pieces and parts go missing. Go visit LEGO's Bricks & Pieces site where you can begin your request for free LEGO replacement parts on just about any set. 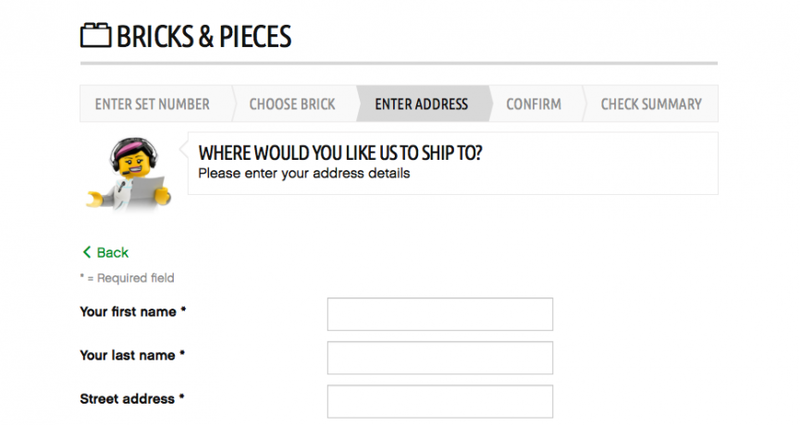 You're going to need to choose between 'Missing Bricks' 'Broken Bricks' or 'Buy Bricks'. When you visit Bricks and Pieces, you can choose from replacing a broken piece, receiving a missing piece, or buying replacements. Whichever you choose, it only takes a second and it doesn't really matter. I usually just go with missing bricks and it works just fine, the reason for this isn't that important. Before moving forward you're prompter to enter your age and where you live. Simple as that. It'll prompt you to enter your age and where you live. Just pop in your age and location (your country) to keep things moving. To request LEGO replacement parts, you're going to need the set number of the set you're getting replacement pieces for. These numbers are found right on the front of your LEGO box. Not sure the numbers or lost the box? No worries. You can just describe the set and the replacement parts you need and they should be able to find it for you — this actually makes things much easier. 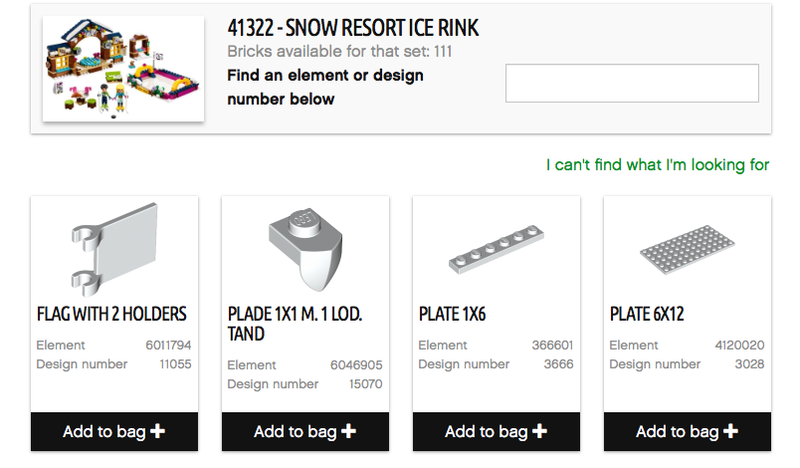 Once your set is determined, it will give you a complete list of LEGO pieces names and parts that can be requested for that set. Add the missing parts to your cart during this step. If you still have the booklet from your LEGO set you can match with the part numbers for each piece that are indexed in the back of the booklet in the LEGO pieces list, this can help with finding specific pieces. As you add any missing pieces to your cart from the list of replacement parts you'll be prompted to add an explain as to why you're needing this piece. The good news? It doesn't have to be anything super detailed. I actually just listed "broken" in that box and had no problems, just enter a reason for getting the new piece. Just enter your name and shipping information and review your request summary. If all looks good, hit submit! That's it! Once your set has been located and the part you need, they will ship your order out straight from their headquarters (in Denmark) and will arrive in approximately 7-10 business days! The beauty of this site is that they have literally just about everything. From old sets to new and even replacement LEGO stickers! My kid went hog wild with their first LEGO stickers sheet and had them all jacked up and removing them ended up ripping a few. You can order replacement LEGO parts from Bricks and Pieces. 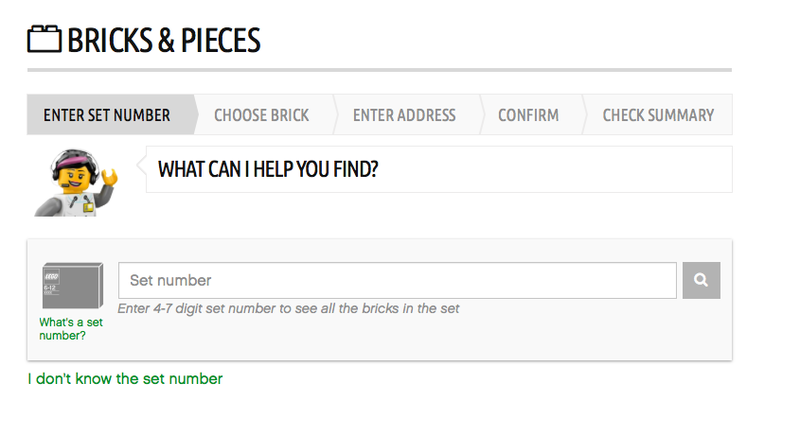 Bricks and Pieces is a website that LEGO set up for customers to request new LEGO pieces for any missing, broken or lost LEGO pieces you might have, hop over there to get replacement parts. How Much Are Replacement LEGO Parts? If your piece is broken or missing from a set most of these are replaced for FREE! Now, I wouldn't go in expecting to have them recreate an entire 500+ piece set because you can only find two pieces now. But for the most part it's relatively easy and free to get your replacement pieces. How Long Does It Take To Get Pieces? Bricks & Pieces replacement parts orders are shipped straight from the LEGO headquarters in Denmark. Delivery to the U.S. is through DHL and takes 7-10 business days. Delivery to Canada takes about 10-14 days. Other countries shipping times vary, you'll want to check with Bricks and Pieces for other countries shipping. What If I Didn't Buy The LEGO Set New? You don't have to show any proof of purchase to submit a Bricks & Pieces Replacement Parts request. LEGO's make great gifts and there's no way you could have every receipt for these sets when your kids may get several different ones from several people around the holidays or birthdays! LEGO understands that and makes this whole replacement parts process super easy on you. What If A New Set Is Missing Pieces? While it's not a common thing to find your new LEGO set is missing a piece, it happens from time to time when some LEGO sets have several hundreds of pieces. So just like with any other replacement part request, you just list your reason on the site as being that your new set had pieces missing. LEGO will definitely make it right. 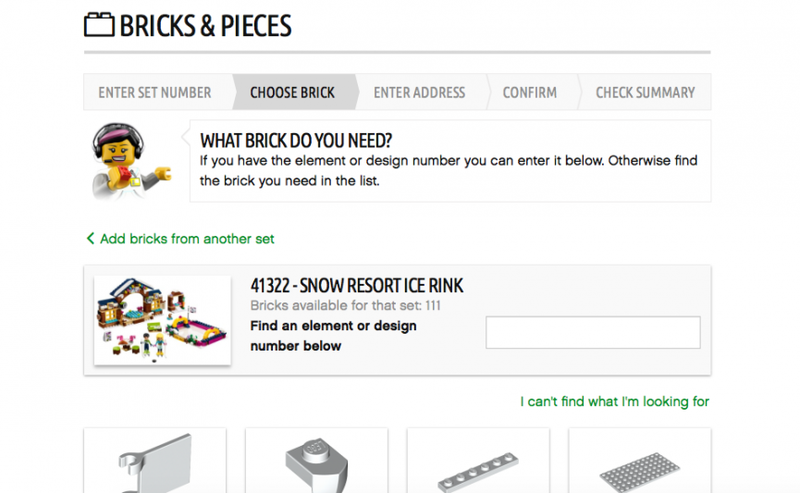 Your turn: Have you tried ordering free LEGO replacement parts? If so let us know how it went, how long did it take for them to arrive? We'd love to hear from you. Lego is an awesome company, and I'm sure you wouldn't want to take advantage of their awesome customer service, so I wanted to point out that what you are advocating here is taking advantage of them. Lego replaces broken lego pieces and pieces that are missing from sets when you purchase them- not pieces you lose yourself. We have bought many, many lego sets and never had a piece missing from a box. If you lose pieces, you need to purchase replacement parts, which is entirely possible.